I've mentioned this blouse here and here, and I'm so happy to finally be wearing it on the blog! I had it hanging on my closet door for over a week, but wanted to "save it" for a day when I wished I could break up with my entire wardrobe. Which was yesterday, in case you were wondering. Does anyone else do this? But back to the blouse. 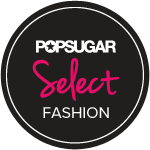 It's the only piece I purchased from the Prabal Gurung x Target collection, and I love it! It's perfectly drapey, the right amount of sheer and......this one should be obvious......it's neon! In hindsight I probably should've bought these, too, because I need blazing yellow heels in my life/shoe collection. Here's hoping they'll be available after Easter - and maybe even on sale! 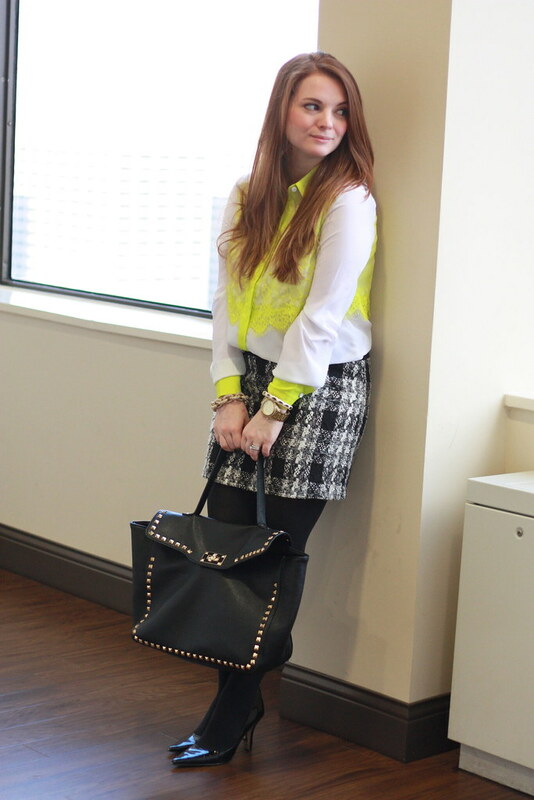 Loving that blouse...so fun and unexpected with the pop of neon! 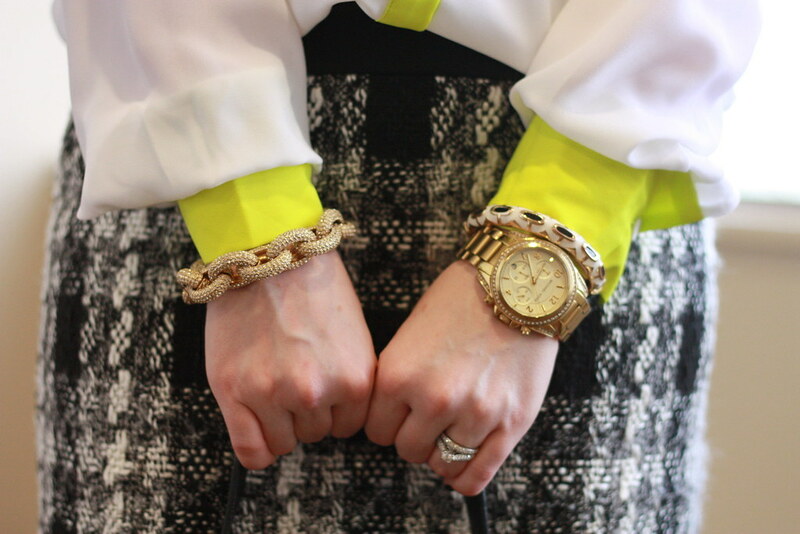 I did a post on neon today...great minds things alike! Ah that blouse- glad your "purchase before lent" looks amazing! The neon paired with that skirt is awesome! Love the look! Looooove that blouse on you! So pretty - and yes I'd like to break up with my winter wardrobe already. Ugh. I love this blouse! I think it might be my favorite piece from the whole collection. 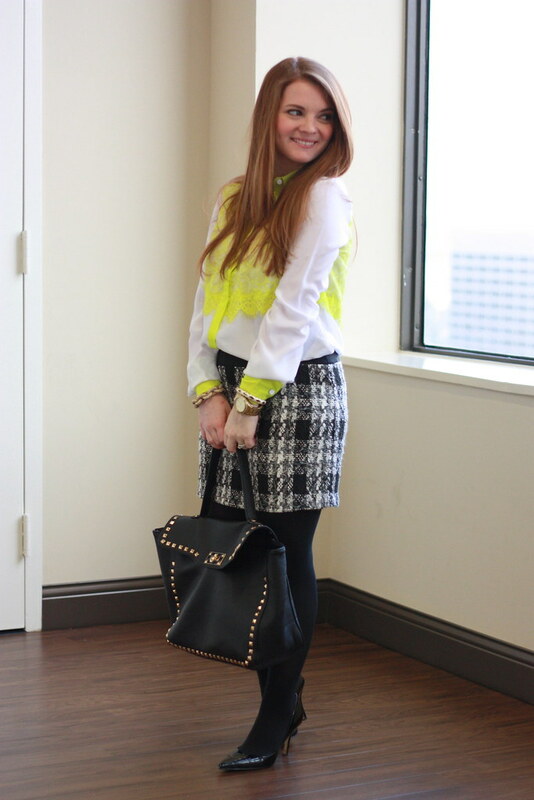 Love how you styled the neon blouse with neutrals! I definitely have days when I want to break up with my wardrobe. So over winter! I love it!!! Gorgeous with the skirt skirt! This blouse was my favorite piece from the collection. 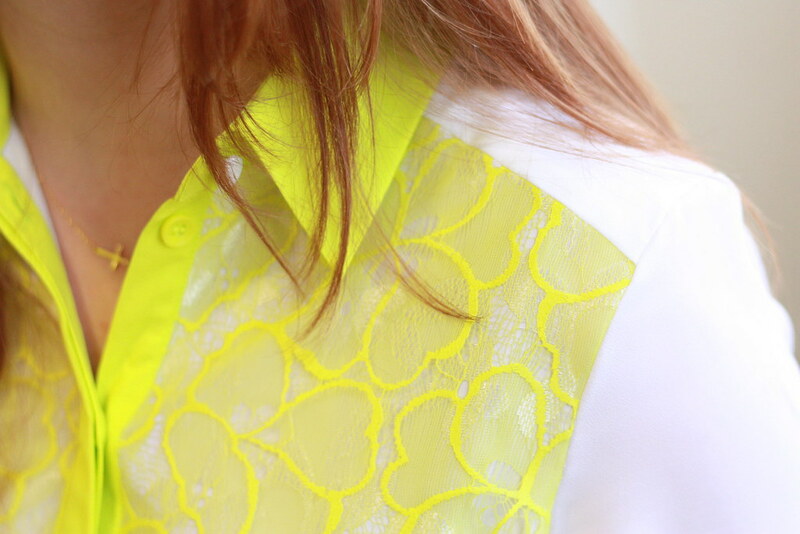 I just loved the neon lace details! It looks so cute on you...great idea to pair with a tweed skirt! The lace detail is absolutely beautiful and the neon accent is so perfect! I love how you paired it with black!